GOKPOP | Exclusive K-News in Malaysia & Singapore: "What's Wrong with Secretary Kim" Off to a Good Start! "What's Wrong with Secretary Kim" Off to a Good Start! tvN’s latest 24-hour express drama – What’s Wrong With Secretary Kim (金秘书为何那样?) has captured audience’s attention with its star-studded cast led by Park Seo-joon (朴叙俊) and Park Min-young (朴敏英). 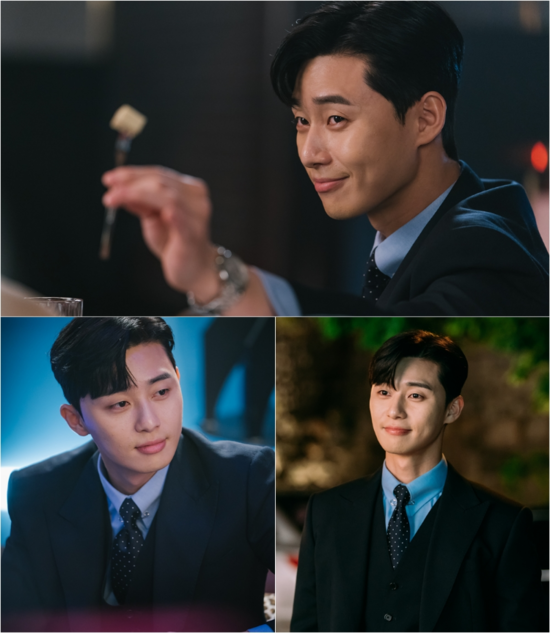 The webtoon-turn-drama series illustrates a comical office romance between the narcissistic boss Lee Young-joon (Park Seo-joon) and his secretary of 9 years Kim Mi-so (Park Min-young). The first episode of What’s Wrong With Secretary Kim recorded an average viewership of 5.4% and a peak of 6.5%; ranked no. 1 among all pay TV and IPTV in Korea during the same timeslot. In Singapore and Malaysia, audience can enjoy What’s Wrong With Secretary Kim through tvN within 24-hour of Korea’s broadcast. Both episodes ranked No. 2 in viewership rating among all Asian pay TV channels in Singapore (No. 1 went to Indian channels) for its target audience (A20-49). The opening of episode already caught audience’s eyeballs by the entrance of the always charming, impeccable yet narcissistic Lee Young-joon. His competent secretary, Kim Mi-so, who almost doubles as his caretaker, always caters his needs, by assisting him on blocking phone calls, attending social events etc. What seemingly a normal office boss-secretary pair, came to an abrupt stop when Mi-so decided to quit in order to pursue her own life. Being narcissistic as he is, Young-joon proposed to her as a mean to make her stay. Without his secretary, Young-joon feels miserable, as simple as tying his own tie reminds him of the first time Mi-so tied one for him. What will YoungJoonn do to keep Mi-so? Stay tuned to episode 3 to find out. What’s Wrong With Secretary Kim airs on tvN in Singapore and Malaysia every Thursday and Friday at 21:45. Catch it on Singtel TV 新电信电视 Ch. 518 / 619 or StarHub TV 星和视界 Ch. 824 or on-demand via Singtel TV GO or StarHub GO in Singapore; and on Astro Ch. 395 or unifi tv Ch. 211 or on-demand via Astro GO or unifi play tv in Malaysia with subtitles in English, Chinese and Bahasa Malaysia.